Dominiq Penn, one of the nationally ranked 2020 point guards is yet to decide his college of choice. 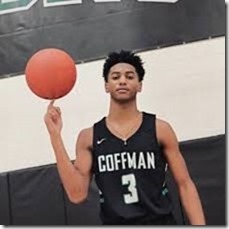 After taking several unofficial visits to a number of colleges where he had received 2020 offers; it’s clear that the Dublin Coffman Point Guard is more of an asset to any college team he would finally join. Notre Dame and Ohio State are eying the 6-foot, 160-pound PG who has also received interests from schools like Michigan, Iowa, Xavier, Michigan State, and Indiana. Majority of these schools are impressed by the player’s ability to lead and score for his team. Speaking to the Notre Dame’s assistant Ryan Ayers when Ayers visited his home state; Penn was quick to appreciate all the teams eying him and noted that he’s looking for a national program with strong academics. He also acknowledged all the scholarships he had been offered by various colleges adding that he’s humbled and all the positive energy motivates him to keep working hard. Penn is a 3-star prospect who has been ranked among the top 100 nationally in the 2020 class. He impresses in every game and has a fighting spirit that happens to be one of the most sought-after qualities in the modern play. Dominiq Penn isn’t only interested in playing for the Ohio State University. He has a family legacy to keep; his father, Sconnie Penn is one of the renowned Buckeyes Basketball players of all time who played for the Ohio State’s team in the late 90s. In 2013, Sconnie Penn was inducted into the school’s hall of fame and is now a vital part of the program where he works as the head of player development and recruitment under Chris Holtmann. Buckeyes fans aren’t too fast to forget how Sconnie impressed the world of basketball with his magical shots and solid coordination that saw him pass provocative passes to the teammates. Basketball fans are confident that the 2020 prospect has all the skills to coordinate his teammates and act as a coach on the floor. As a rising star who takes no chances for granted, Sconnie’s son is on the top of the list for more than 8 colleges and his recruitment as a professional player has just started. 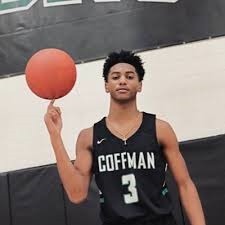 After a very successful first season as a point guard for the Dublin-Coffman High School; Ohio State took notice and were among the first colleges to extend an offer way back in October last year.